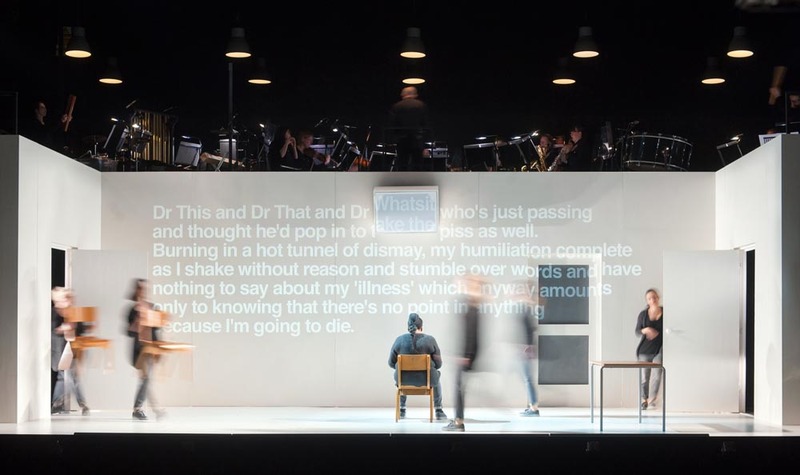 Philip Venables propelled himself to the forefront of contemporary opera with his 2016 adaptation of 4.48 Psychosis, the astonishing final play by the radical British playwright Sarah Kane. Venables responded to the melody and rhythm innate to Kane’s writing to create an innovative and extremely powerful work of music theatre. ‘Venables has done wonderful things’, wrote The Guardian, and for The Telegraph his adaptation is ‘rawly powerful and laceratingly honest’. The opera won the 2016 UK Theatre Award for Achievement in Opera and the 2017 Royal Philhamonic Society Award for Large-Scale Composition, and was nominated for the 2017 Olivier Award for Best New Opera Production. Kane’s play was first performed posthumously in 2000. It does not specify cast or stage directions, instead presenting 24 fragmented episodes that draw on Kane’s own struggles with depression. Kane’s message is dark and at times harrowing, but leavened with poetry, humour and a humane warmth that only deepens the text’s emotional impact. Venables sets the play for six female singers and chamber ensemble, who are integrated into the action in Ted Huffman’s fluid production.